Students will work on place value, expanded form, written form, and two/three digit addition in this activity. This activity can be used as a practice, formative or summative assessment, and can be used to enrich or remediate depending on the grades assessed skills. 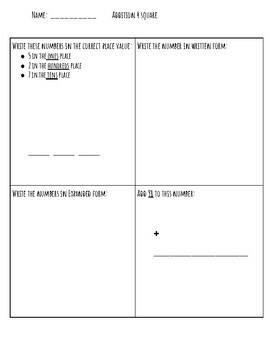 This activity is great for math stations, and can help students transfer understanding through multiple skills.